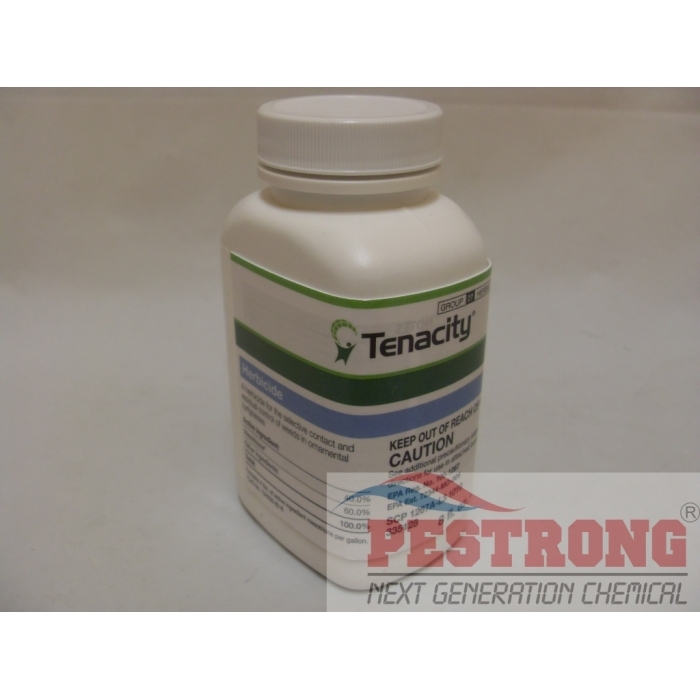 Where to Buy Tenacity Herbicide, Tenacity Herbicide - 8 Oz - Gallon - $63.95 for Sale with Fast Free Shipping! By buying this product & leave product review you can collect normally 86 reward points as a voucher of $8.60(1%). Can be use on Kentucky bluegrass, centipedegrass, buffalosgrass, tall fescue, fine fescue, Perennial ryegrass, St. Augustinegrass. Do not use on Bentgrass, Poa annua, kikuyugrass, zoysiagrass, seashore paspalum and bermudagrass. Great price. 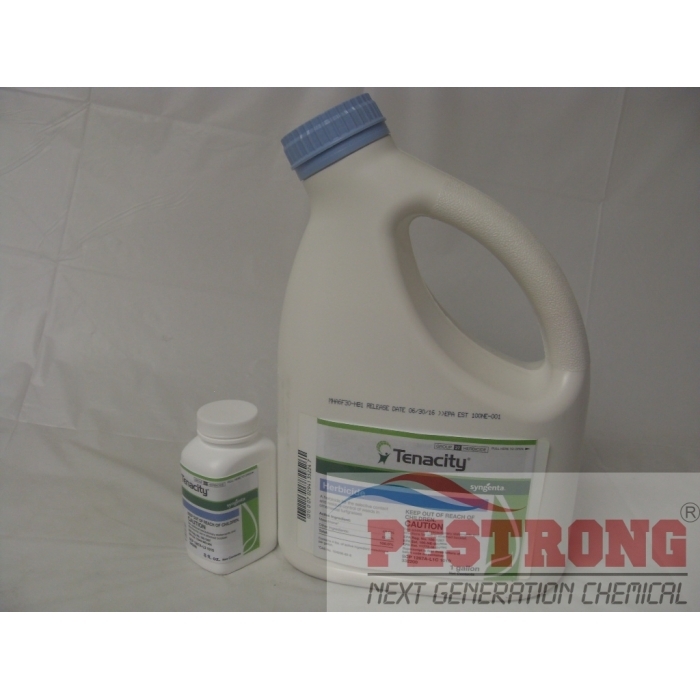 I have used tenacity for 5 years now and it works great in Southeastern PA. Controls weeds all summer with just 2 applications - 4 weeks apart - using a broadcast sprayer. Trying this out. Saw this here at a good price. Was easy to place order for this. Purchased this for several reasons. My mom's yard has patches of Nimblewill. There are 3 ways to treat it: dig down 3-4" and remove it, and glyphosate; both require a complete replanting of grass. The other is Mesotrione. Large patches require a replanting and small patches will normally fill back with grass. I used a tow behind sprayer for the initial application. Within a few days the top of the Nimblewill turned white. That was my clue to where to spot spray for subsequent applications; no need to spray everywhere if isolated to certain areas. I was also overseeding an area this spring of about 8000 sq ft that has been infested with Crabgrass over the years. I needed a product that would provide pre-emergent control of Crabgrass and yet allow planting of cool season grasses. This is the product. While I believe its pre-emergent qualities are not for a long time, maybe several weeks to a month or so, its long enough to get the grass growing and mowed a few times. At that point it can be reapplied to kill any Crabgrass that germinated and under the 4 tiller stage. At this point a longer lasting pre-emergent can be put down in the upcoming weeks. Mom's lawn also has a lot of Clover and Plantain. While it worked great on Crabgrass and Nimblewill, it could not control the Clover and Plantain in the mid to late Spring. Those two are like Super Superman in the Spring and spraying with kryptonite only puts a dent in them. Both Clover and Plantain are much easier to control in the fall. Summer has begone and so far I am not seeing any Crabgrass ( I did put down some Prodiamine a few weeks ago). By the mid to end of July I should have an answer to how well the control of Crabgrass was on both the overseeded and non-overseeded area turn out. 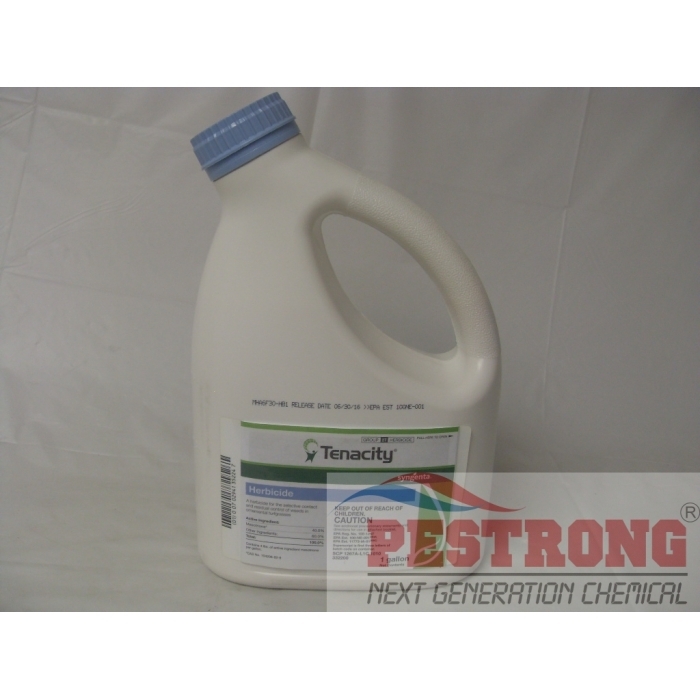 I found Tenacity and applied it per the instructions works great on just about all weeds. I'll buy more. We waited a few years for Tenacity to be available to the public and have both been having great results with the product. I would love if there could be a more diluted Tenacity product to purchase for the average homeowner. This really works, I am very satisfied with this purchase. Very powerful and works for pre&post over cool season grass. It works great. It can be use over buffalosgrass! This is the product for poa annua. Great price and free shipping. Can't beat that deal!